Dodger. AKA Roger. AKA Roger Dodger. He is a big and handsome guy who weighs around 75 pounds. He enjoys every minute of every day and always seems to be smiling and excited. He has a wonderful disposition and is very affectionate. He loves his people and can't get enough attention or petting. He gets along well with other dogs but sometimes insists on being the focus of attention. A home without an existing large dominant male dog would be recommended. He is a little too curious about cats so a home without cats would be best. Dodger would also need a family that doesn't have young children; teenagers would be fine. Dodger needs a home with a large, securely fenced in area so he can get his share of exercise. He enjoys playing with toys and can entertain himself. He loves to go on walks and thoroughly enjoys exploring his surroundings. He walks well on a leash and continues to improve his leash manners. He has learned that being inside with people and other dogs is indeed a good thing and he is housetrained. He has learned to use a doggie door and lets himself out to a fenced in area. Dodger would make a wonderful companion for the right home. Loki's a sweet boy who loves lots of cuddles, treats and attention! Following his foster mom while she does her chores is one of his favorite pastimes! Loki definitely likes to be where the action is. He gets along well with all the other dogs at his foster home, loves walks and absolutely adores treats of any kind. Loki will need a home where his humans aren't gone for long hours and where he'll get all the exercise he will need to keep him happy and engaged. All children must be over the age of 6; a fenced-in yard and a playmate would be a plus for this special guy. Loki is up to date on vaccines and preventative medications. Trakker is a handsome fellow looking for a place to call his own. 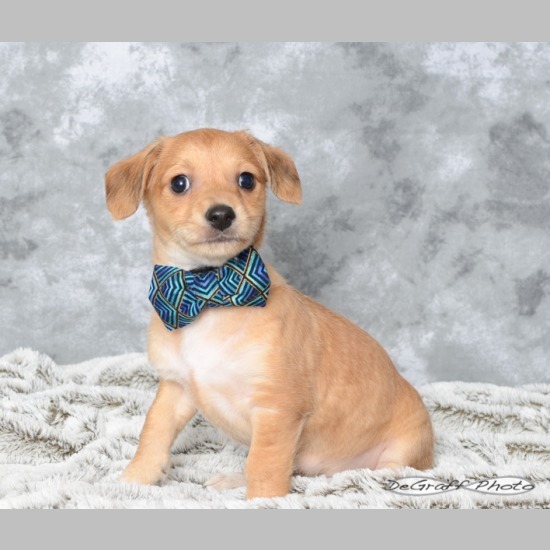 He's going to be a large dog, so he needs people who are comfortable socializing and training a big boy so he can continue to be a wonderful addition to society. He has easily acclimated to his foster home and gets along well with all dogs in our family. He loves to play with our younger dogs, and would definitely appreciate another dog in his forever home. He has had limited exposure to kitties, but under the right circumstances, there shouldn't be any problems. He sleeps in his crate at night, is house trained and is easily learning good doggie manners. He's a very smart boy who really just wants to please. Trakker requires a home where all children are 8 years of age or older. He would do best in a home with a fenced-in yard and a family who plans to provide him lots of exercise and socialization. Since he is such a young pup, he needs people who are not gone for long hours. He is up to date on vaccines and preventative medications. All he needs now is a forever home to call his own! Sunny is a sweet girl who is loving exploring the world around her. 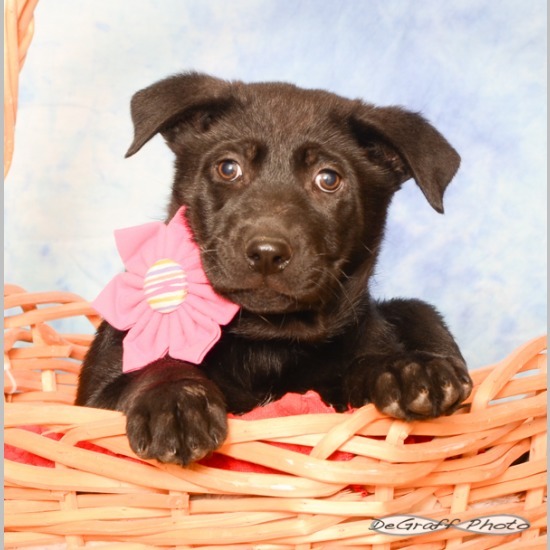 She adores playing with the pups in her litter, as well as some of the other dogs in her foster home. She is learning good kitty manners too. Sunny would love a home that will continue her great socialization, and one that wants to include her in all the fun. She rides well in the car, and is learning to walk on leash too. She would adore a home that will continue her obedience training. 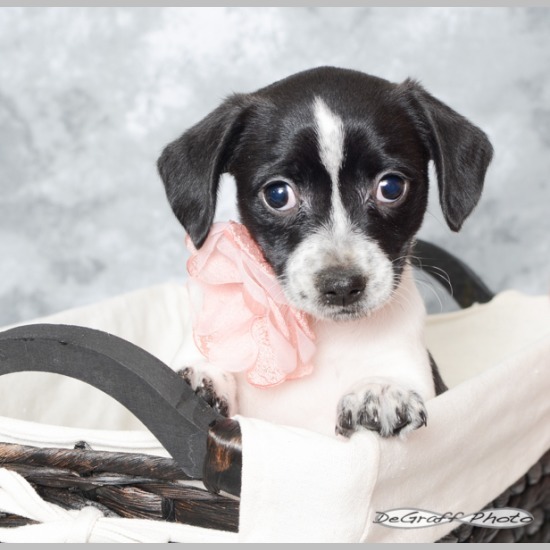 Since she is such a small pup, she needs a home where her humans are not gone for long hours. All children in her forever home must be 8 years of age or older. We would prefer that Sunny have a fenced in yard in her home, this will help her keep up her good potty habits and allow her a safe place to play. Sunny will be available to go to her new home on May 18th. She will be spayed and microchipped prior to adoption. She is up to date on preventive medications and vaccines. Obie is such a love. He adores running around his foster home playing with the other pups. He would love another dog in his forever home. He is learning his kitty manners too. Obie has begun his obedience lessons, he rides well in a car, and is learning to walk on leash too. 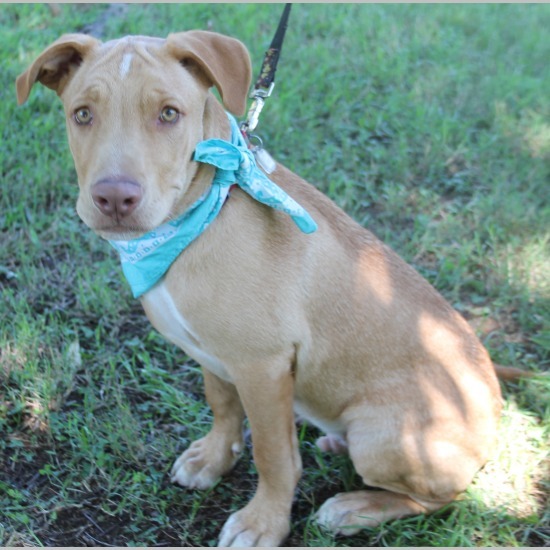 He would love a home that will continue his great socialization, and his obedience lessons too. Obie requires a home where his humans are not gone for long hours. All children in his forever home must be 8 years of age, or older. We would prefer he have a fenced in yard in his home, so that he can continue with his potty training- and play safely. 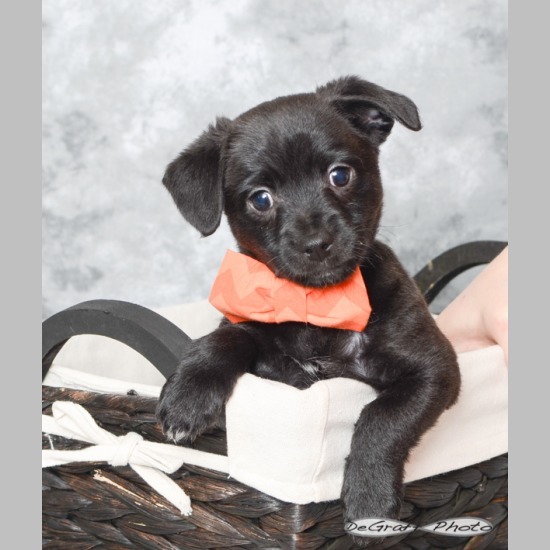 Obie will be able to go to his forever home on May 18th, he will be neutered and micro-chipped prior to adoption. He is up to date on vaccines and preventative medications. Lucas is such a smart boy! 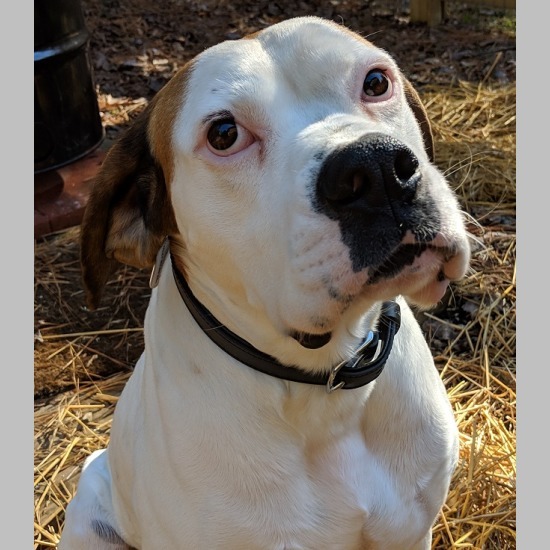 He is always up for learning something new, and he would do best with a family that plans to continue his training and provide him lots of exercise. He loves to please, and will certainly be a wonderful companion. He adores playing with his litter mates and is learning his kitty manners too. He would love another dog in the home to be a good role model. His perfect match would be a home who plans to include him in all of the fun that life has to offer. Lucas requires a home where his humans are not gone for long hours. All of the children in his forever home must be 8 years of age, or older. He would do best with a fenced in yard so that he can continue his potty training, and have a safe place to zoom around the yard and play. He will be available for adoption on May 18th, after he has been neutered and micro-chipped. He is up to date on vaccines and preventative medications. Please come out to meet Lucas at Yappy Hour on 4/15 from 5:30-7:30. Just click on his name to apply today. Logan is quite the character. He always has play on his schedule, but he loves to learn new things too. 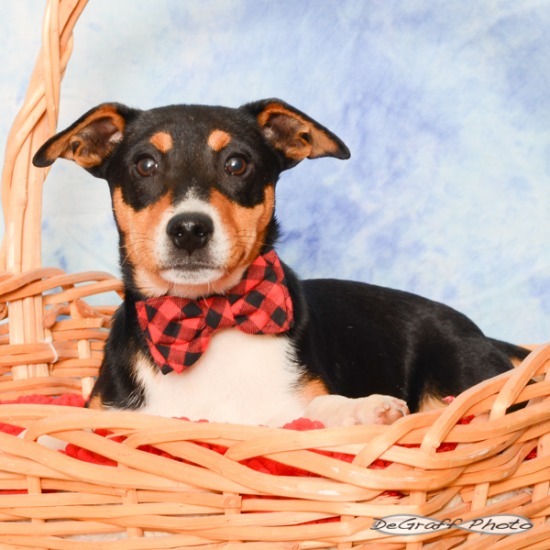 He would do best in a home where his humans can provide lots of socialization and exercise. He would love another canine companion in his forever home, and he is learning his kitty manners too. He has begun his obedience lessons, and he is learning to walk on leash too. He would love for his family to continue his training. Logan needs a home where his humans are not gone for long hours. All children must be 8 years of age, or older. We would also prefer his family have a fenced in yard, so that he can continue his potty training and have a safe place to play. He will be available for adoption on May 18th, after he has been neutered and micro-chipped. 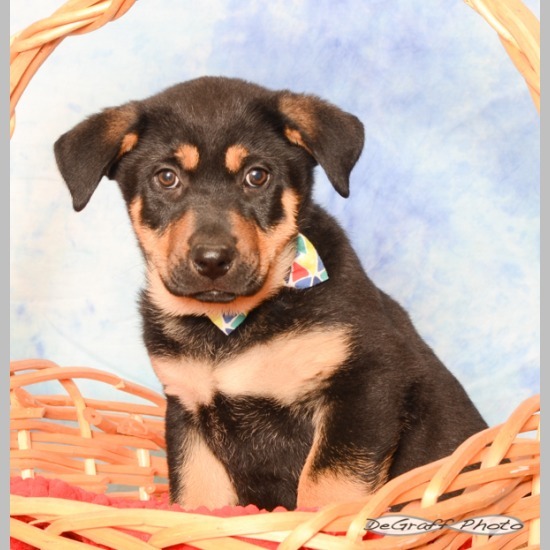 He is up to date on his vaccines and preventative medications. Please come out to meet Logan at Yappy Hour on 4/15 from 5:30-7:30. Just click on his name to apply today. Atlas is just the cutest thing around. He wiggles when he sees you, and then promptly rolls over for belly rubs. Don't let those short legs fool you, he has no problem getting around fast. 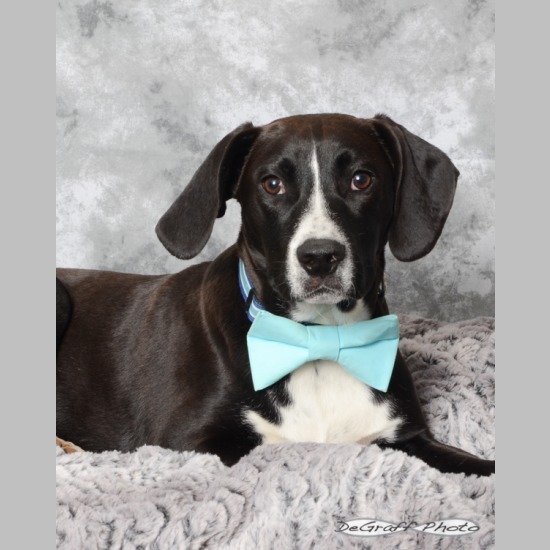 He is a very smart and active fellow, who would do best in a home who continues his socialization and provides lots of fun activities for him. He has begun his obedience lessons, and his leash lessons. He would love another dog in his new home, and he is very well behaved with kitties too. Atlas needs a home where his humans are not gone for long hours. All children must be 8 years of age, or older. He would do best with a fenced in yard, so that he continues his good potty habits and has a safe place to run and play. He will be available to go to his new home on May 18th, after he has been neutered and micro-chipped. He has begun his vaccines and is up to date on his preventative medications. Ava is a looker, but she is also a smart girl too. She is doing great with her obedience lessons, and is learning to walk on leash too. She rides well in the car, and would love to find a family that intends to allow her to be a part of all the fun. Ava would also love a home that plans to continue her training. She loves other dogs and would really like another dog in her new home, and she does well with kitties too. Ava requires humans who are not gone for long hours. All children in the home must be 8 years of age, or older. Preference is given to homes with fenced in yards, so that she can continue her potty training and have a safe place to play. She will require grooming, so please be sure that you are willing to provide this service and can afford the expense- prior to applying. She will be available to go to her forever home on May 18th, she will be spayed and microchipped prior to then. She has begun her vaccines, and is up to date on preventative medications. Murphy is a lover of all things fun and fabulous. He adores his foster family, and he loves to make them happy. 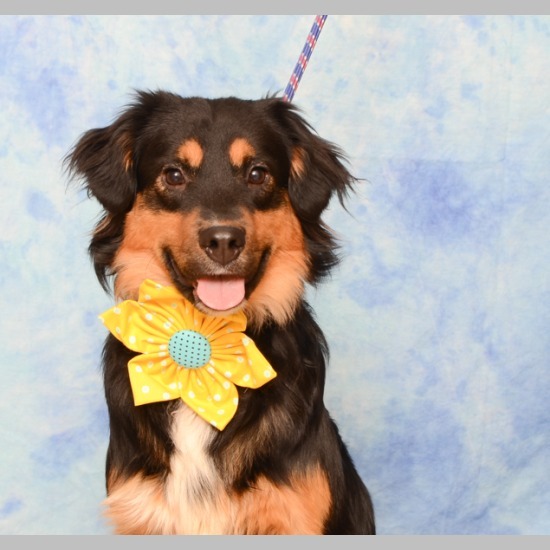 He is a quick learner, and would do best with a family who intends to continue his training, and include him in on all their fun. He would love another dog in his forever home, and he is learning his kitty manners too. He has begun his obedience lessons and leash lessons, and he rides well in the car too. Murphy requires a home where his humans are not gone for long hours. All children in his forever home should be 8 years of age or older. A fenced in yard is preferred, structured fencing- not underground invisible fencing. He will be able to go to his forever home after May 18th once he has been neutered and microchipped. He has begun his vaccines, and is up to date on preventative medications. Sarge is a handsome fellow looking for a place to call his own. He's going to be a large breed dog, so he needs people who are comfortable socializing and training a big boy who will be a wonderful addition to society. He has easily acclimated to his foster home surroundings and he would love another dog in his forever home. He has had limited exposure to kitties, but under the right circumstances; he is sure to please. Sarge requires a home where all children are 8 years of age or older. He would do best in a home with a fenced in yard, and with a family that plans to provide him lots of exercise and socialization. Since he is such a young pup, he needs people who are not gone for long hours. He will be neutered and micro-chipped prior to adoption. He is up to date on vaccines and preventative medications. All he needs now, is a forever home to call his own. Lilly is a beautiful flower looking for a place to call her own. She's going to be a large breed dog, so she needs people who are comfortable socializing and training a big girl who will be a wonderful addition to society. She has easily acclimated to her foster home surroundings and she would love another dog in her forever home to play with. She has had limited exposure to kitties, but under the right circumstances; she is sure to please. Lilly requires a home where all children are 8 years of age or older. She would do best in a home with a fenced in yard, and with a family that plans to provide her lots of exercise and socialization. Since she is such a young pup, she needs people who are not gone for long hours. 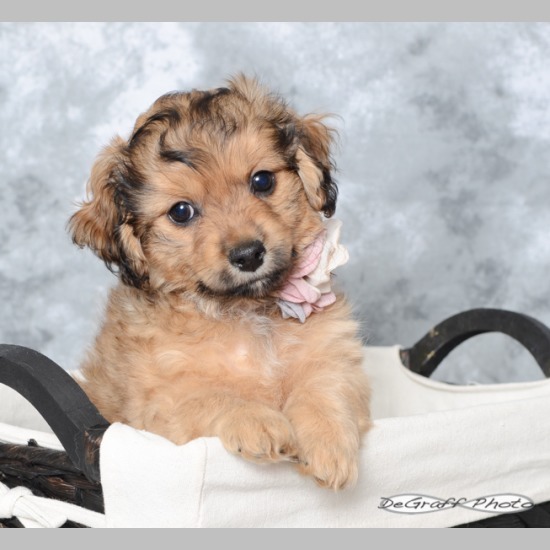 She will be spayed and micro-chipped prior to adoption. She is up to date on vaccines and preventative medications. All she needs now, is a forever home to call her own. Indee is a sweet, smart, and loving girl. She aims to please! She is very calm inside, as soon as she gets outside, she knows it is time for fun! She loves to zip and zoom around the yard and chase her canine foster siblings. Indee has no issues at all with any dogs she encounters, she loves them all! She was nervous around new people when she first entered foster care, but she has come a long way since then. She is much more confident with new people but prefers to initiate the introduction on her own. With proper guidance, before long she will be a well-rounded dog that is happy to meet everyone. Indee is great with children but requires a home where all children are 6 and over. A sweet, fun-loving companion, Farley is a people-pleaser. He loves getting attention from literally anyone and will nudge your hand to let you know he could go for some more ear scratching. 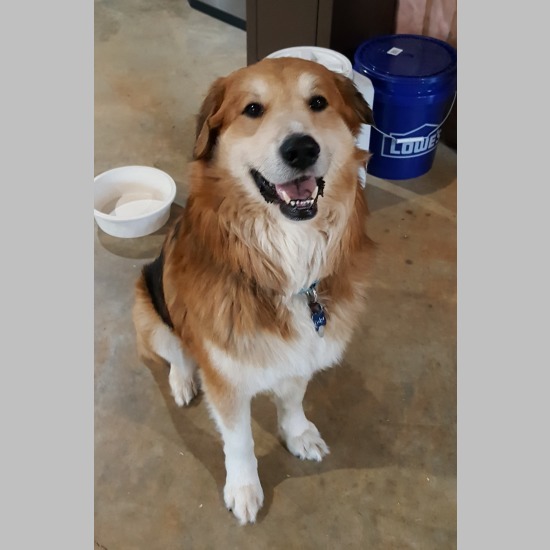 Farley may be a big boy at about 80 pounds, but he is also very gentle and only wants some love from a family with room to spare. At 5 years old he is generally very calm. Farley does like to play with people and dogs. He gets along well with the other dog in his foster home. He can be a clown at times and is generally just an easy-going galoot. While he is house-trained and is currently learning basic commands, Farley is still a bit apprehensive when given direction. He currently sleeps and eats in a crate. Farley is open to new experiences and training as long as you go slow and give him time. A 6ft. fenced area (not electric) would be needed when not directly supervised in a home where his humans are not away for many hours. He would do well with a canine companion and doesn't seem to mind cats, ideally in a home with any children 6 and older. If you have room for him, Farley can fill it with a gentle soul that could go for some more ear scratching and belly rubs. It is hard to imagine a sweeter dog than Smidgen. Her background is obscure - she came to the shelter as a stray - but her gentle, loving nature is very apparent. Smidgen is friendly to all. Her foster home has 7 dogs, big and small (none as small as Smidgen, though!) and Smidgen fits right in. She is very accommodating to all the dogs and she is happy to play with each and every one of them. She is happy to snuggle with each and every one of them, too. Smidgen is great with people. Whatever her background might have been, it certainly did not affect her affection for all humans (And she does regard all humans as her friends!). The best home for Smidgen would have a fenced yard and a family who is not gone for long hours. She does love human companionship. 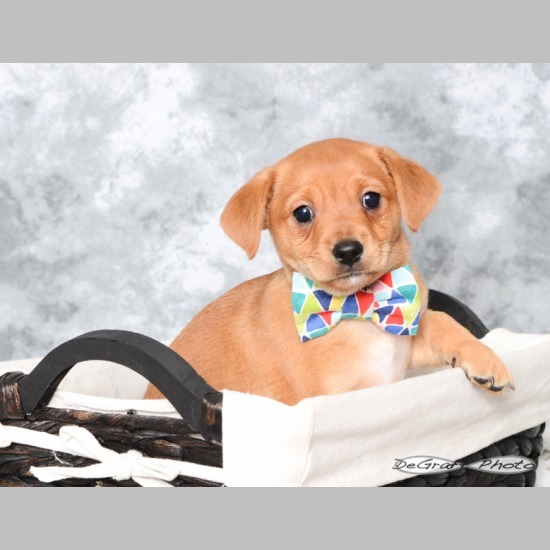 Smidgen is house trained and crate trained. She is a light heart worm positive and is undergoing treatment now. She will be available for adoption once her treatment is complete. 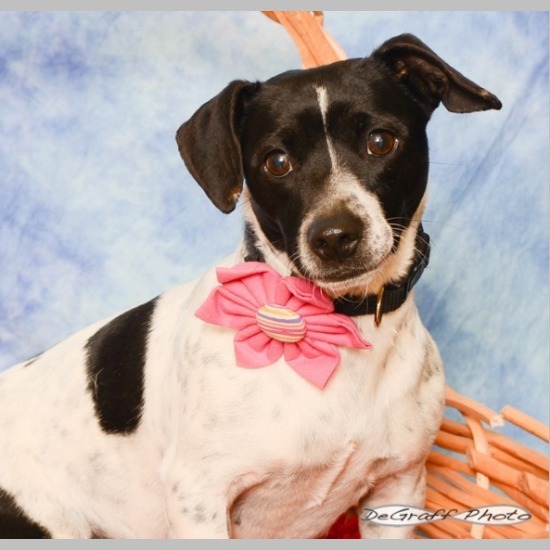 Smidgen may be petite, but she packs more than a smidgen of love in her small body. Please come out to meet Smidgen at Yappy Hour on 4/15 from 5:30-7:30. Just click on her name to apply today. Dexter is a wonderful 5 year old boy who is gentle, sweet and snuggly. 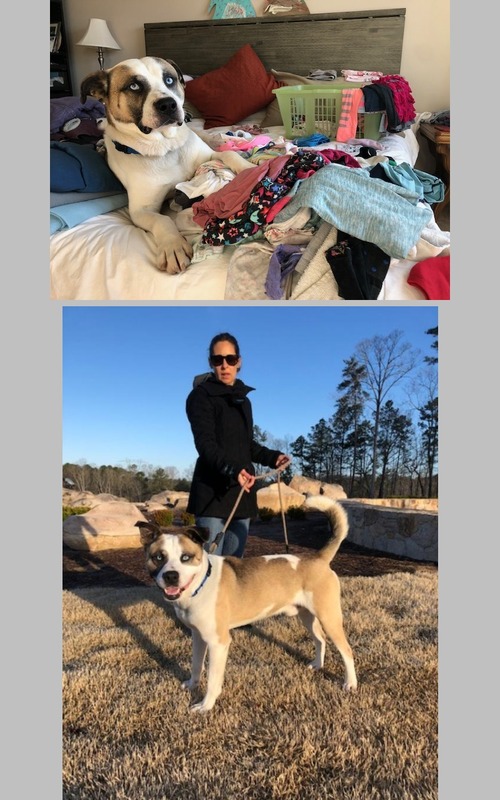 He has been really enjoying his life with his foster family, sleeping in soft dog beds and getting lots of love, after being in the shelter for 2 months. 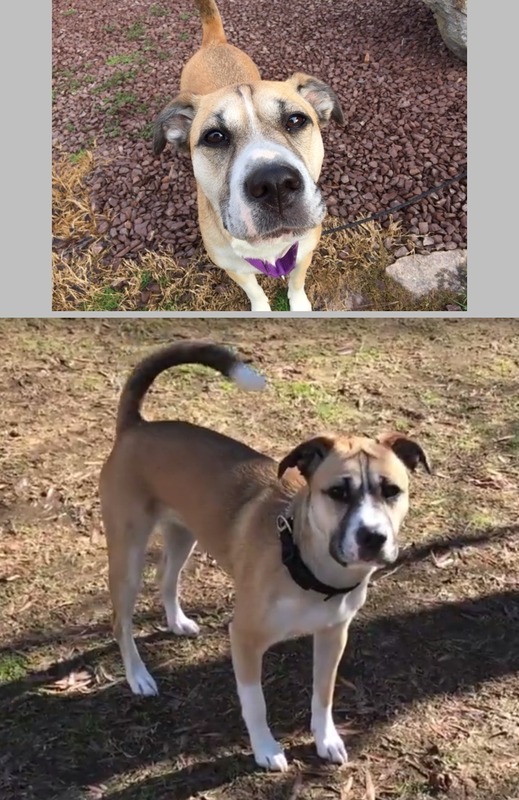 This amazing boy, despite being such a wonderful dog and passing his temperament test with flying colors, kept getting overlooked at the shelter because he is light heartworm positive. That doesn't matter though...he will be treated and fully recover after his heartworm treatment that he is currently undergoing. Not only is Dexter sweet but he is also a head turner. Dexter has beautiful stunning husky eyes and unique markings. Dexter does well with kids and other dogs. All children in his forever home should be 6 years of old, or older. He enjoys having dog company in the house but is overly interested in cats, especially when they run. A very dog savvy cat could potentially work as he has learned to co-exist with the cat boss in the house without harassing him. He is learning his leash manners and is working on crate training. He will need a strong crate that he can't break out of since he is an escape artist. He has done well outside of the crate and does well in the crate when people are home but he really enjoys being around people company. Dexter will need a home where his people are not gone for long periods of time. Another dog would be a plus. He enjoys his walks and will need plenty of exercise. His perfect family will continue to work with him on his training and ensure he continues to stay on heartworm and flea/tick preventative. Families with children 6 or older can apply. Dexter will be available for adoption after his heartworm treatment (mid-May). 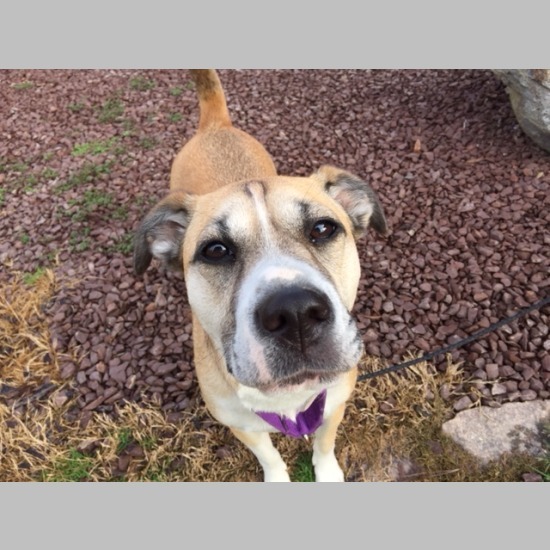 Jane is an energetic girl who loves the outdoors and likes to play with the other dogs in her foster household. She is good natured and gets along well with all of the other dogs in the household. Jane would like a forever home where any children are six years old or older and where her people are not gone for long hours during the day. Jane needs a fenced yard (a physical fence, not electronic) where she can run and play. Click on the video link to see a short video of Jane. Eno is a sweet and loving boy looking for his new home. 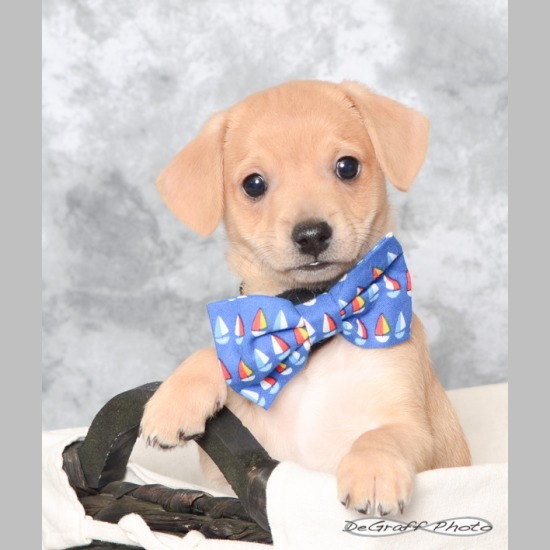 He is curious and playful and loves his walks, but settles down quickly and will impress you with his cuddling skills. He is food motivated, and a quick learner. 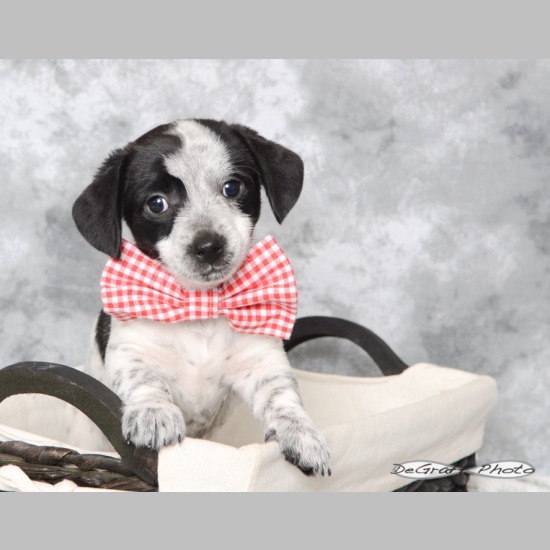 He gets along well with his small foster siblings and would prefer smaller companion animals in his forever home. He can be nervous at times with new people and will do best with a patient and experienced owner willing to work with him to build his confidence. He would do best with an adult-only family, or one who has much older and mature teens in the home. Eno is doing well learning basic skills and is crate trained. He entered the CARE system heartworm positive but has been treated and given a clean bill of health. He would prefer a safe, fenced in secure yard in his forever home; since he loves to burn off some energy by exploring, and he does best with his house-training with the freedom of off-leash capabilities. 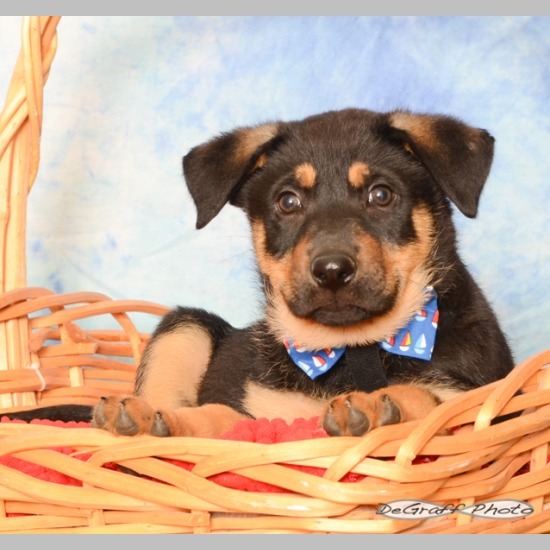 He would love a family that is willing to continue his training and socialization. He is neutered, microchipped and current on vaccines. If you're looking for a lover boy, Paco is your pup. Not only does he love to give kisses, he will also snuggle in your lap. When you're sad, this little guy will put a smile on your face; he is a clown of the dog world, and has a personality that just makes you giggle. Paco gets along well with other dogs and is very submissive. He loves to meet new people, and is very social. He has no problems with children, but would prefer a home where all children are age 8 and up. He is not being fostered in a home with cats, so we are not sure how he will do with permanent feline companions; but during the few occasions he has met kitties, he has been curious but appropriate. He is being crate trained, and trained to ring a bell when he needs to go potty- he is doing well on both. He enjoys car rides, and and is learning his leash lessons too. He would love a family that isn't gone for long hours, and plans to allow him to join them in all of life's adventures. Paco is up to date on shots and his preventative medications. Before leaving his foster home, he will be neutered and microchipped. Boomer is a survivor. He came into CARE after being hit by a car and abandoned on the side of the road. Unfortunately, he waited beside that road for several days hoping that someone would stop and help him. Even though he must have been in quite a bit of pain, he was such a wonderfully behaved pup while at the vet and there was never a doubt that he deserved the chance to be healthy, and loved. He has undergone several surgeries, his hip was dislocated and he had to have several pins placed in his hind leg to help it heal properly. In addition, he also had to undergo surgery to repair an ACL tear that occured during his accident. Despite his rather bumpy beginning, Boomer is doing wonderfully well at acclimating to the good life, and getting healthy while in foster care. 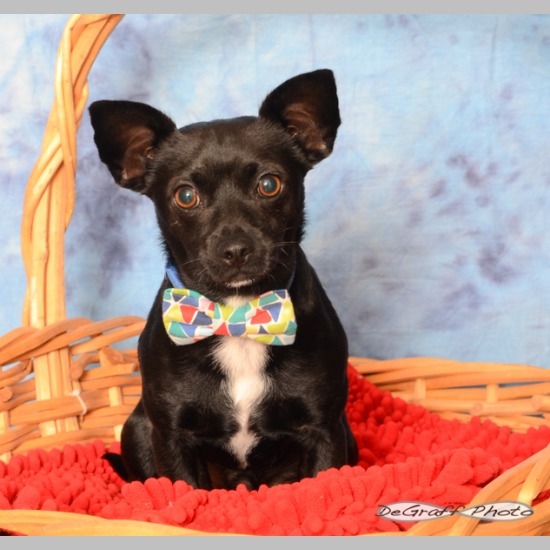 He is an exceptional medium energy puppy who simply adores his humans, and he is very appropriate with other dogs, and cats too. 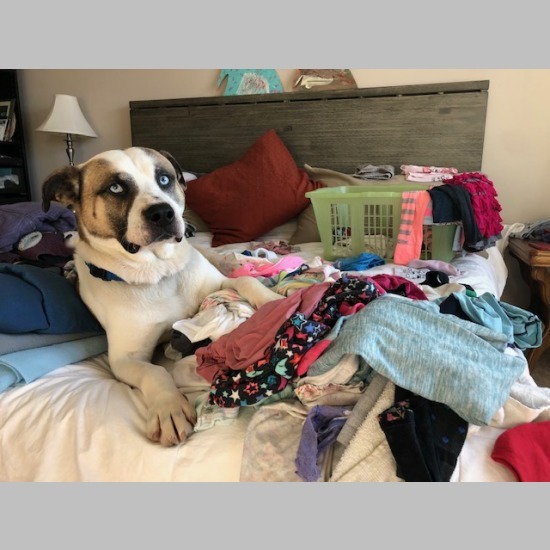 His perfect home would be one where his humans aren't gone for long hours, there is another playful medium sized dog in the home, all humans are 8 years of age or older- and a fenced in yard for him to explore his surroundings safely. He may have had a bumpy start in life, but this fellow is just happy to have a loving and supportive environment. He will never be a high-impact running companion for his humans- but his energy level isn't such that he'd appreciate that to begin with. Strolls of an even pace, filled with exploration and lots of yummy treats are more Boomers preference- he would do anything for yummy treats and praise. He is crate trained, rides well in the car, and is learning his obedience lessons. Boomer will need a good glucosamine supplement for life, and it is very important that he not be allowed to be overweight. He has been neutered, micro-chipped, and is up to date on all of his vaccinations and preventative medications. All he needs now is to find his forever family, that will love him for life.